Chief of Staff Gadi Eisenkot visits Gaza border area amid ongoing efforts to secure ceasefire with Hamas following escalation in tensions. 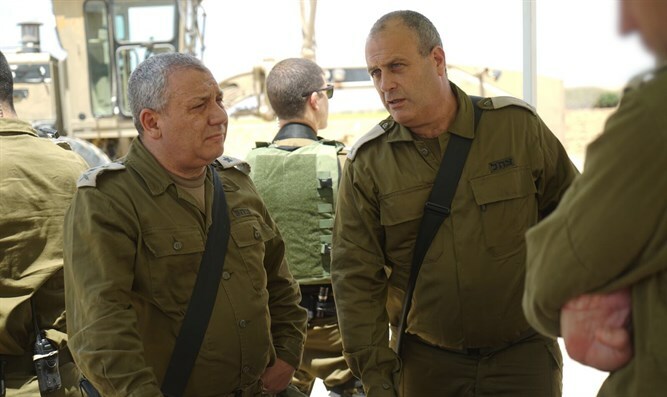 IDF Chief of Staff Gadi Eisenkot visited Israeli military forces stationed in the Gaza border area on Sunday, amid elevated tensions along the Israel-Gaza border following a series of attacks by terrorists in the Hamas-ruled coastal enclave. Eisenkot visited the Gaza Division, and met with IDF Southern Command chief, Major General Herzi Halevi; chief of the Defense Ministry’s Coordinator of Government Activities in the Territories, Major General Kamil Abu Rokon; and Brigadier General Yehuda Fuchs. During his visit, Eisenkot expressed his satisfaction with the ‘responsible’ and ‘professional’ way the IDF’s Gaza-area forces had handled security challenges in the past five months, adding that Israel was prepared for any possible escalation with Hamas. In recent weeks, terrorists operating out of the Hamas-ruled Strip have escalated their attacks on Israeli targets, firing dozens of rockets at Israel and opening fire on Israeli troops, killing one. Israeli officials have been negotiating indirectly with Hamas, using Egypt as a proxy, for a ceasefire agreement. Last week, Hamas leaders reportedly said that they expected a ceasefire agreement to be finalized early this week.